Lunch often gets lost in the hustle and bustle of getting kids off to school in the morning. 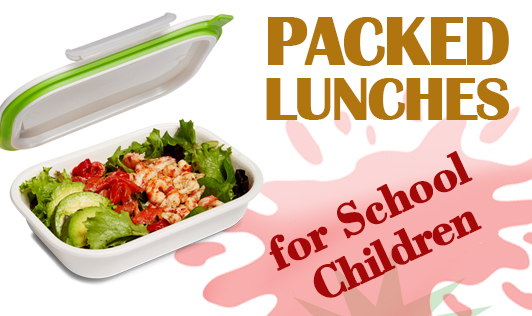 It is worth considering packed lunches because they are far healthier than the canteen food. Offer a variety of foods throughout the week. Try to have variety in meals by incorporating natural colours, different shapes and appealing flavours. Try using different kinds of bread like whole wheat, multi grain bread for sandwiches. Encourage kids to eat colorful vegetables and fruits as they are loaded with vitamins, minerals and fiber. Make desserts, chocolates an occasional treat. Baked and roasted food products are preferable than fried and salty snacks. Children usually prefer finger foods, thus during lunch, cubes and slices of carrot as well as cucumber will serve the purpose.